Pleasure Beach are a Belfast five piece who released their debut EP Dreamer To The Dawn to critical acclaim in 2015. 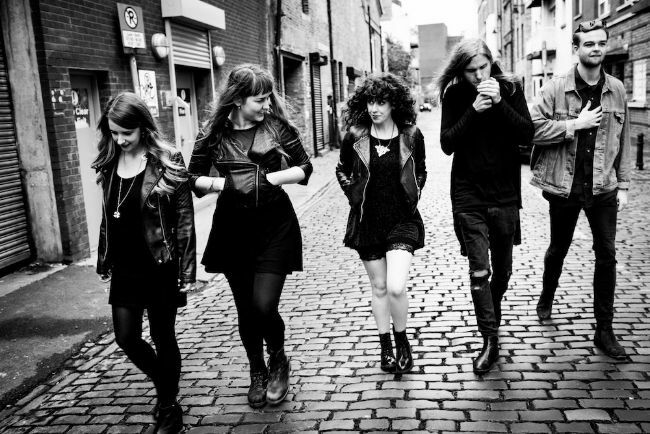 Now, they return with their new single Magic Mountain, which will be released on April 22nd via Faction Records. The name says it all, Pleasure Beach are all about epic anthemic and atmospheric pop rock tunes with a nod to the new wave era and poignant lyrics. The band enjoyed a cross section of support from national radio in their native Ireland and all the way to the tastemaking KEXP in the Seattle, while live they supported Ezra Furman, All Tvvins, The Vaccines and Jape among others. The single comes alongside a batch of fresh festival dates including Live At Leeds and Secret Garden Party. Tour dates can be found below.